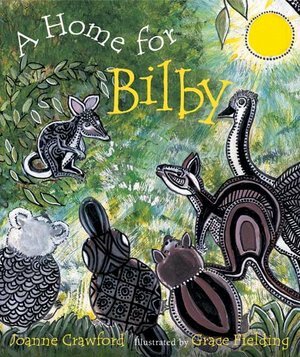 A Home for Bilby is an engaging picture book that takes children on a journey through the Australian outback and the habitats of the animals that live there. Join Kangaroo, Emu, Platypus, Wombat and Koala as they find a home for their new friend Bilby. A delightful children’s story that includes factual information about the bilby, its status as an endangered species and how children can get more information about saving the bilby.